Haven’t found a deep, meaningful and lasting Relationship yet? Well, DON’T GIVE UP! Now, you can DISCOVER SECRETS to ATTRACT LASTING LOVE in this Recorded TeleSeminar Series! As a Single, do you relate to any of the below? Are you widowed/divorced, want to start over but not sure how? Do you find a “Perfect Partner” only to eventually learn, they’re NOT? Are you disillusioned and wondering if anyone’s really for you? Do you feel ready for a committed relationship, but need some guidance? If any of these are true for you, I’ve created my Singles’ TeleSeminar Series especially for YOU! Please register to gain immediate access to my 12 recorded calls! For a limited time ONLY $17! What you must know to get what you want in your life and relationships! The most important thing you have to do to get through it! 2 relational types that create conflict & which one YOU are. Learn the science behind “The Secret”, whether you loved or hated it! Why you don’t reach your Resolutions and what to do about it! **These calls are recorded and available to registered participants. the LOVE you DESIRE in your LIFE! Please register to gain immediate access to recorded calls. 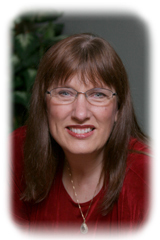 ABOUT CAROL: Carol Anderson has been a Licensed Marriage & Family Therapist for over 24 years and now, as a Relationship Coach, she presents workshops and programs for Singles & Couples! Over the years, she has helped close to a thousand FIND, CREATE & KEEP LASTING LOVE and Begin the Relationship of their DREAMS! Why not let her help you too!